Reading through past threads everyone seems to have their own idea on what the torque specs are for ARP main and head studs. Here is the correct way of installing ARP studs. Take an Alan key and screw the stud into the block until it is at the bottom of the thread. Then firmly tighten. You can use lock tight on the block threads. its up to you. Check to make sure all the studs are as deep as they can go. You can do this by eye but ive used a piece of timber to show you. 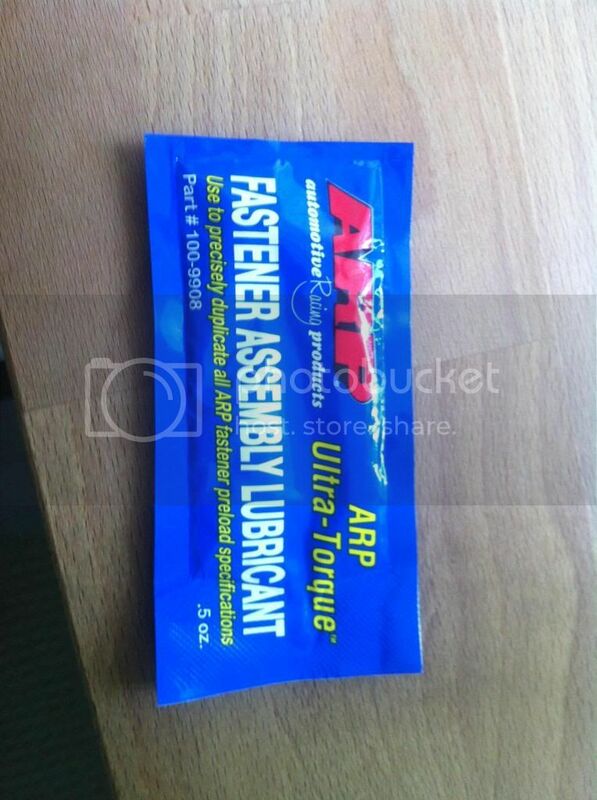 Next cover all contact surfaces of the nuts, threads and washers with ARP Ultra-Torque fastener assembly lubricant. DO NOT USE LOCKTIGHT. There is no need to loosen and re-torque. To "to stretch the stud" ARP studs are designed so all elongation occurs in the elastic zone which means the stud will return to its original size once the force is removed. Once a stud stretches permanently (plastic zone) it is destroyed. 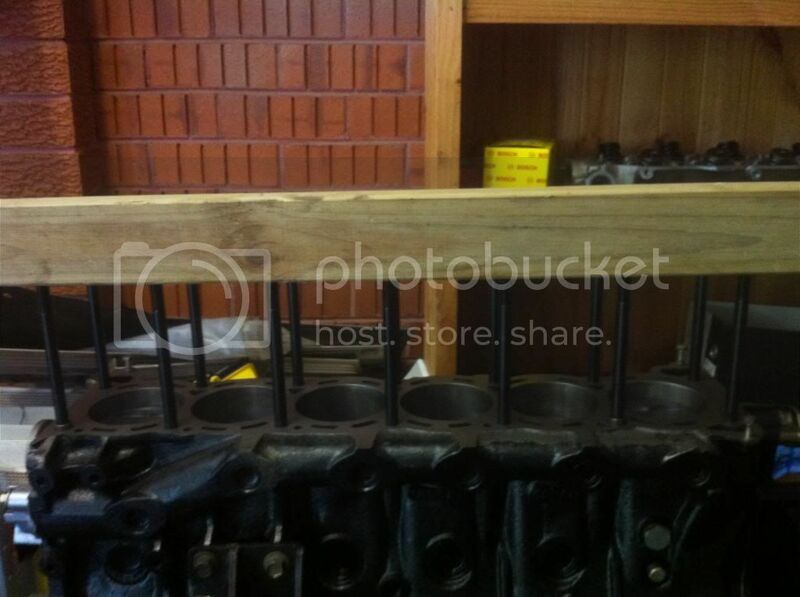 MLS head gaskets do not need re-torquing after a certain number of km driven or any time period. 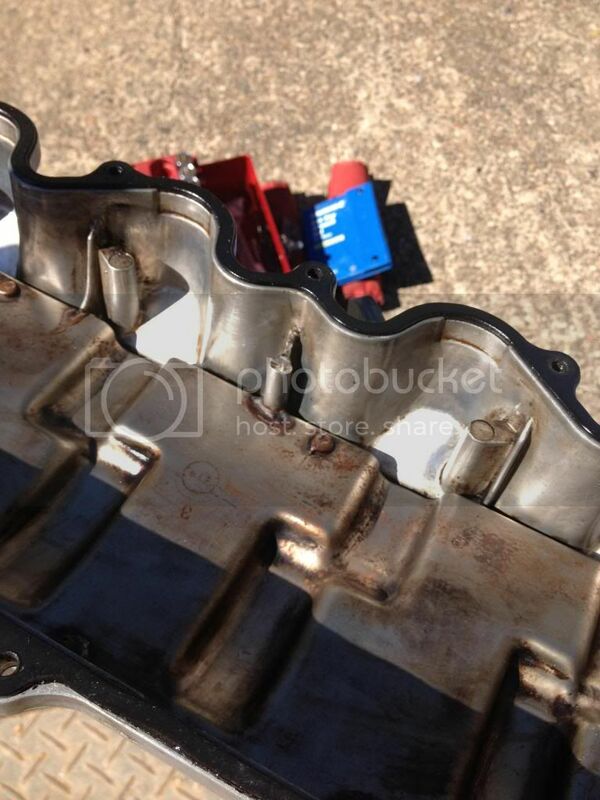 Other head gasket types may need re-torquing which is specified by individual manufacturers. Last edited by Bro_Speed; 15-03-13 at 11:53. I dont know who told you or why you think a stud should be screwed into the block TIGHT with Loctite, but this is incorrect. A stud is designed to provide load axially by loading up on the back of all chamfers of the thread by having the stud installed finger tight, and not bottomed out!!! Dont put loctite on either its not required. Also its good practice to cycle new fasteners to wear in the threads and get a more accurate torque reading. The kits most people get for RB30's do not come with kit specific instructions. I cant find an ARP part number for RB30 kits. if you can show me one that would be great. Hand tight only gets them in a few threads, all the threads need to be engaged so they need to go to the bottom? 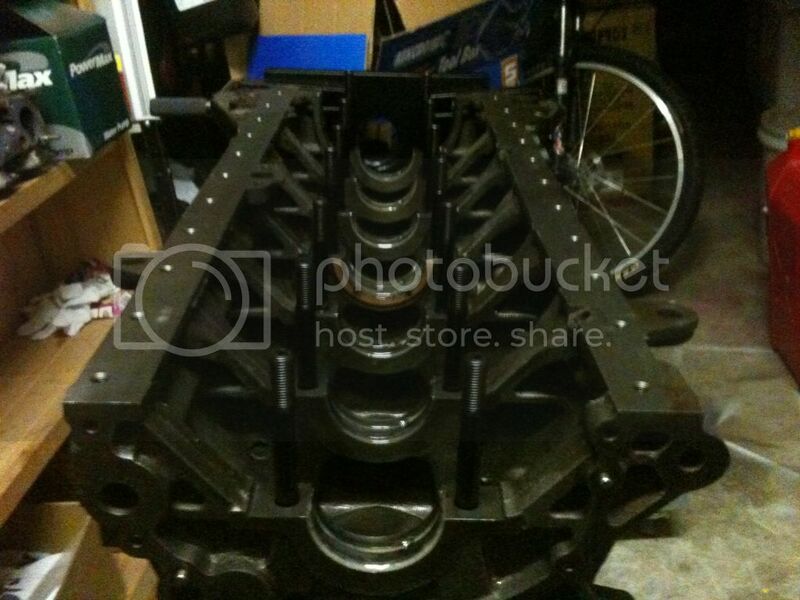 some engine builders will locktight in the main studs. it is an option. Hand tight will put them all the way in if you have cleaned all the threads with a chaser tap first, which you should do. Loctite is ok provided you put them in finger tight and you torque them up before the loctite sets. But imo its not needed and just a pain pulling them out after. Yea fair enough about the instructions was just talking in general. The kit people make up for RB30 is 202-3000 which is not a valid ARP part# the RB25 kit is 202-4301 which you could treat the same, and is the sheet you linked. Last edited by Marzella; 15-03-13 at 13:08. It hits on one of the washers/collars of the nut. It only keeps it off a few mil, but thats enough to piss oil everywhere when you start it up! 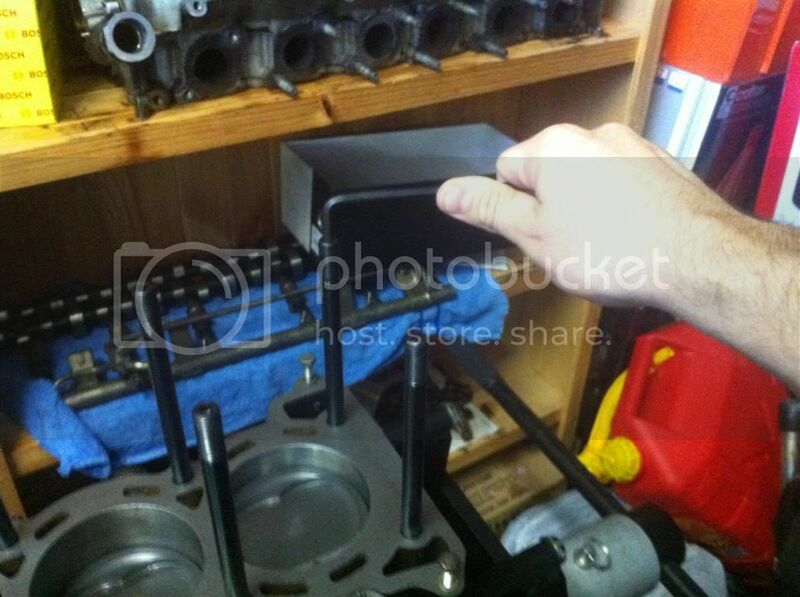 Pull the gasket off and rest it down on the head, checking to make sure the touching everywhere and will form a tight seal. what are the part numbers for the arp main and head bolts for the rb30e?